Formulated to sanitise while achieving excellent Soil & Stain Removal on both water and oil based stains. Tex-Clean is a safe advanced blend, using the best of both water and spirit based cleaning agents with a built in biocidal disinfectant. 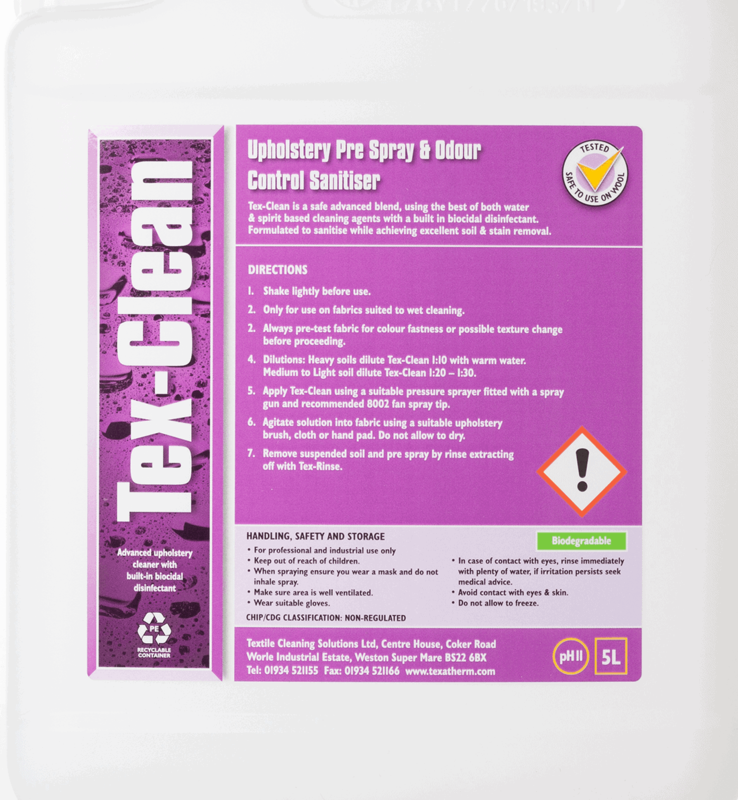 Tex-clean Upholstery pre spray is Formulated to sanitise while achieving excellent Soil & Stain Removal on both water and oil based stains. 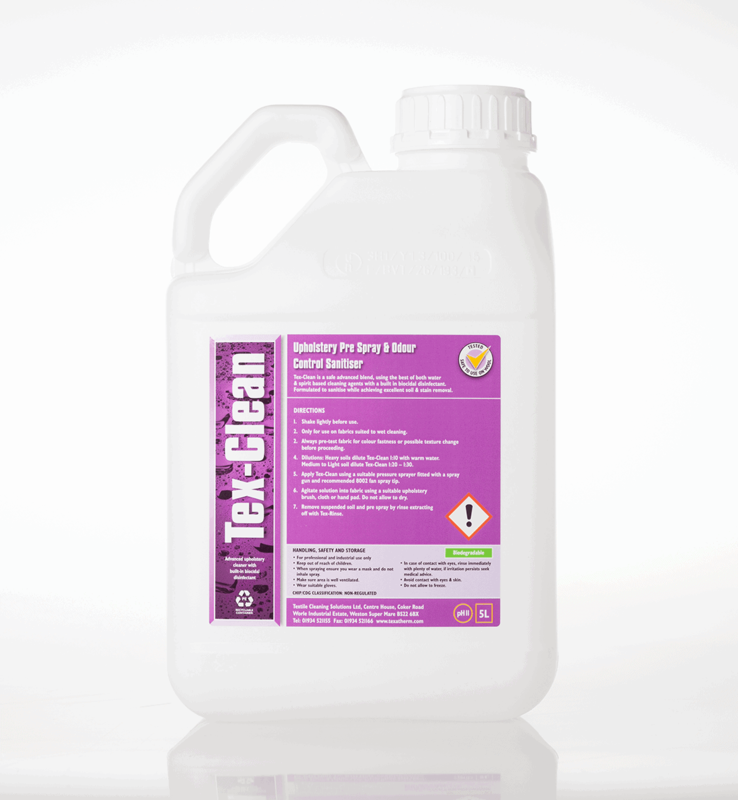 Tex-Clean is a safe advanced blend, using the best of both water and spirit based cleaning agents with a built in biocidal disinfectant. Formulated to sanitise while achieving excellent soil and stain removal.